Orthopedic Performance Institute (Bulverde) - Book Appointment Online! 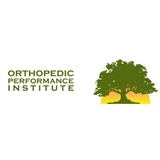 Orthopedic Performance Institute is a comprehensive medical practice specializing in the diagnosis and treatment of orthopedic diseases and injuries of the musculoskeletal system. Our patients are offered a highly trained and experienced staff working to provide better outcomes in our patient’s recovery. Our Doctors are trained and licensed in Texas to deal with aspects of all orthopedic conditions both surgical and non-surgical. The visit was great. However Zocdoc had my appointment at 8:30 but the office had me down for 9, so I waited for over an hour to be called back. Takes care of patient quickly. The visit went awesome. She understood my situation and helped me make the decisions that would get me back in the gym. I would definitely recommend her to everyone.